A jubilant feast for the senses that transforms every day into a sacred and joyful celebration. 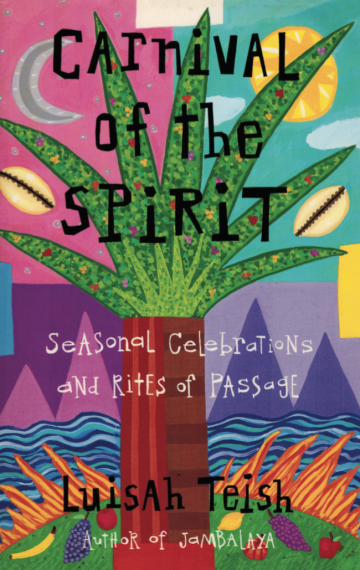 Carnival of the Spirit is a vibrant synergy of African Spirituality, folktales, and kitchen-table wisdom in an exuberant tribute to world holidays and nature’s four seasons. Luisah Teish serves up stories of her own family’s traditions along with festivals from all over the world—from the Lily Festival in Japan to the Yam Festival in West Africa, from intimate family gatherings to Mardi Gras in New Orleans, and from traditional European holidays to sacred African rituals.